We love books! So, from time to time we will be sharing some of the wonderful books for children and young adults that your family may have overlooked in a new series called "Recommended Reads." We'd love to hear from you about your family's favorite reads and suggestions for books you would like us to review in the future. Today's pick features a boy who struggles to control his attention. Plot: Joey Pigza is in the care of his grandmother when his mom comes to the rescue. Joey’s grandma doesn't take good care of him, so he’s thrilled when his mother returns after being gone for as long as he can remember. His life immediately improves – in some ways. But he still can’t sit still in class and is constantly in trouble at school. No matter how hard he tries, Joey can’t seem to control himself. He likens himself to a Tasmanian devil – he simply can’t sit still, and the “dud meds,” all his mother can afford, often fail to work. Despite his good intentions, he sticks his finger into a pencil sharpener on an impulse to give himself a sharp nail like Dracula and has to be sent to the nurse. He ruins a class trip by jumping from a rafter and spraining his ankle. And, of course, he swallows his house key. Joey always means well, and he knows that he’s a “good kid,” but things seem to be going from bad to worse for him. Eventually, he is sent to the special education classroom from time to time. The teacher there is more knowledgeable about Joey’s difficulties, but she has her hands full and can’t really give him the help he needs. When he runs across the classroom with scissors, producing disastrous results, Joey is sent to a center downtown. He dreads going, but instead of punishment finds a team of experts who put him on the right track at last. It will still be an uphill battle for Joey, but in the end he, his mother, and his teachers are feeling hopeful, and rightfully so, that things will work out for him after all. Adult Themes: Joey’s mother alludes to her own former problems with alcohol several times and tells him that he’d have to look in bars if he wanted to find his absent father. She drinks a single cocktail after work in several scenes though she is never shown to be intoxicated or negligent. Joey’s grandmother, who disappears early on, is not a suitable caregiver, and while she is not physically abusive to Joey, she is certainly emotionally abusive. Our Take: While we try to focus on kids’ reactions when we review books, we were blown away by the way the author put us so vividly in the shoes a child who suffers from uncontrollable attention difficulties. The first-person narrative allows readers to get right into Joey’s head, and it made us understand the obstacles children face when they struggle to control their attention on a different level. This book is alternately funny and heart-wrenching, and often both at the same time. It’s clear from the beginning that Joey is an immensely likable, good-hearted boy, but adult readers will find themselves wondering how on earth they would ever be able to manage him if they were his teacher or parent. Younger readers will be taken with Joey’s good nature and sense of humor, and some may even relate to him personally, or be able to see a classmate in Joey. 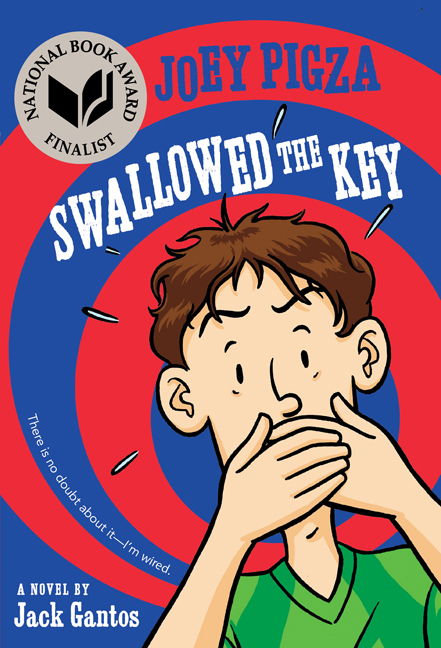 Children often report that they find Joey’s shenanigans humorous, though adult readers may find the book more poignant than funny. Through much of the book, Joey tries to improve and fails again and again because he lacks the right resources. This can be hard to read, especially for older readers, and it comes as a huge relief when Joey finally meets people who can help him, and his mother, get their lives together. Some parents may want to read this book before giving it to their children so that they can be prepared to discuss some of the difficult issues it raises. While there’s no question that Joey’s mother loves him very much, she is not an ideal parent, and kids will also be confronted with the emotional abuse Joey suffers at the hands of his grandmother (this part is brief), inadequate support from his school, and both learning and physical disabilities. These realities are not written gratuitously; in fact, Joey serves as a caring and tender narrator, but some kids may fare best with parental support. Children who struggle with attention themselves would particularly benefit from this book, and will be pleased to know that there are three other books in the series: Joey Pigza Loses Control (a Newbery Honor Book in 2001), What Would Joey Do?, and I Am Not Joey Pigza.